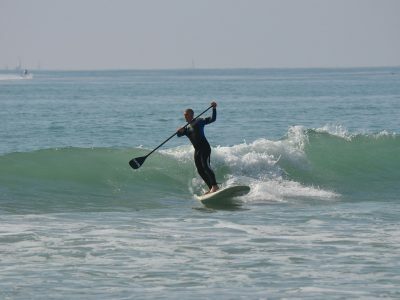 Paddle surfing is a great way to explore the Mediterranean ocean! This activity is becoming more widespread and has become a must for sea lovers. 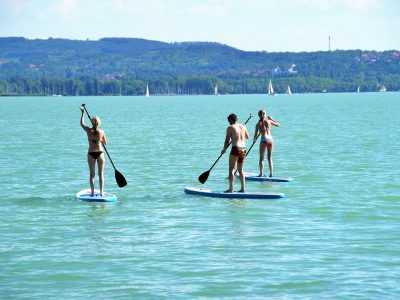 If you’re feeling like a surfer, an adventurer who loves to explore the beaches, coves and islands, well, the paddle is for you. The activity takes place in the Port Olimpic near beaches, perfect to explore the Barcelona coastline! If you wish to take the Paddle out for 2 hours, do not worry we can do it. 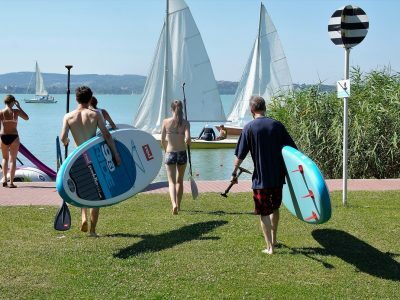 You can also combine this activity with the banana boat, flyfish, crazy sofa or jetski.